For more information about this free event, contact Ethington Theatre Box Office at ethington@gcu.edu or 602-639-8880. 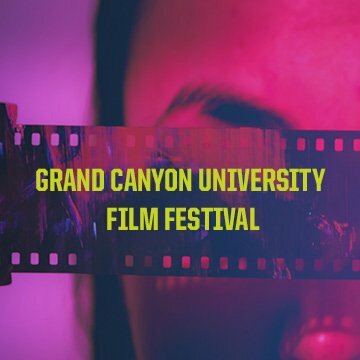 Enjoy Original Short Films by GCU Students! The College of Fine Arts and Production invites you to an unforgettable evening, sponsored by the Digital Film program, where guests will enjoy screenings and awards of short films submitted by GCU students. Films will represent the following eight categories: Drama, Comedy, Music Video, Faith, Documentary, Thriller, Animation and Alumni. There will be a winner announced for each category as well as a Best of Festival winner announced. The winners will be announced by the unveiling of each category’s individual film poster designed by students of the Digital Design program, led by program director Sheila Schumacher.